Look at the pretty lights! Another Ferrari passes me by on the street – it’s the 30th I’ve seen in the last few days, although I’m certain I’ve lost count. I’ve walked past a few of them too; it’s not that uncommon to see them parked on the side of the road or under a tree. Or just up over the curb and on the sidewalk. For every one of these supercars there are two dozen Mercedes Benzes, three dozen BMWs, and an uncountable number of Lexus. (According to Lexus corporate the plural of Lexus is Lexus.) Strangely, once you understand the automobile ownership system in Singapore, these automotive demographics start to make sense. It turns out that in Singapore you have to purchase the right to purchase a car. What? Being so close to sea level, there are a number of plants that simply wouldn’t grow in Singapore’s climate. What to do? Build two different gardens that replicate the climates of other parts of the world and plant the damn flowers anyways…. In an effort to ‘manage traffic and the urban quality of life’ for its citizens, Singapore instituted a Vehicle Quota System that limits the number of vehicles in the country. In order to obtain the right to purchase a car in Singapore, you must first bid on (and win) an auction for a COE – Certificate of Entitlement. This isn’t a just simple vehicle registration, the current going rate for a 10 year COE (yeah that’s right…it’s only good for 10 years and then you have to renew it) is $100,000 Singapore Dollars (roughly $80,000 USD). Considering that the cost to enter the automobile market is S$100,000, it starts to make sense that the only people who can afford to own a car are going to purchase a luxury car. A typical backpacker budget goal in South East Asia is to average $30 USD per day – allowing daily variations for more expensive things like the occasional snorkel trip and balanced out by days of lounging on the beach reading a book. 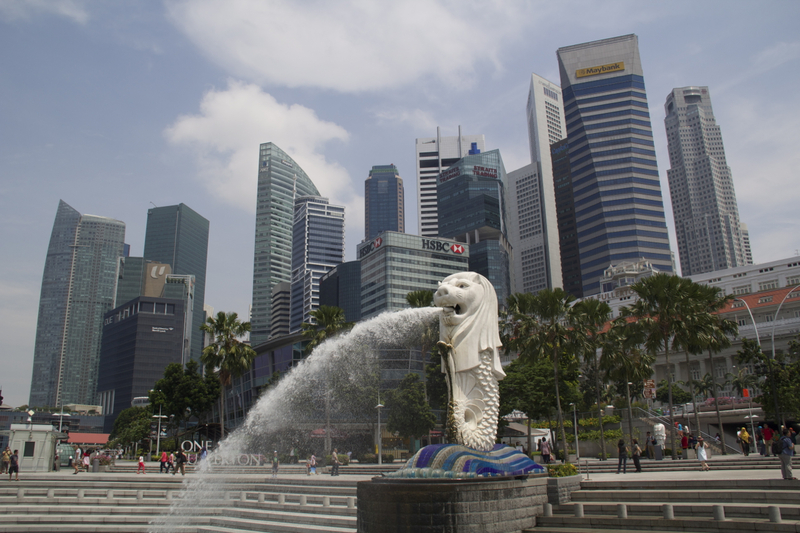 Singapore is not a typical South East Asia country. I’m not going to come out and say that it’s impossible to see Singapore for $30 a day, but I will say that you won’t have a good time if you’re limited to a very strict budget of $30 a day in Singapore. 6 Billion Dollar Marina Bay Sands on the right. Singapore Flyer in the center. A quick search of HostelWorld’s Singapore listings will be the first indication that a cheap visit is going to be difficult. The cheapest dorms available run $10 per night, and the reviews speak of encounters with bedbugs, cockroaches, and unclean bathrooms. The highest rated hostels run roughly $20 per night. I’m currently staying at one of these – The Happy Snail. It’s small (18 beds), has two bathroom/showers (with hot water), and has free (FAST!) WiFi. More importantly than those three things though, is the fact that the hostel has FREE breakfast in the form of loaves and loaves of various bread. There’s also a fridge stocked with different types of jam and an unending supply of Nutella and Peanut Butter (Skippy brand …creamy AND chunky). Mike, the guy who runs the place, typically keeps a supply of bananas on hand too. In an effort to save money, for the last few days I’ve had toast with peanut butter and a banana for breakfast and lunch. It’s not glamorous, but it beats the alternative of $25 set lunches, $18 club sandwiches, and $15 scrambled eggs. Fortunately there is another option if you’re an adventurous eater – there are a plethora of ethnic food courts throughout the city. Lau Pa Sat. During peak hours you’ll see napkins and small bags saving seats at nearly every table you think is empty. Telok Ayer Market, more commonly known as ‘Lau Pa Sat‘ is one of these food courts. If you visit Singapore it’s impossible to not go near Lau Pa Sat – it’s located just outside the financial center of Singapore and a few blocks away from the Marina Bay. It’s also food central for anyone in Singapore trying to keep a budget. The variety of cuisine available is an exhausting list of any Asian specialty you could ever want. Filipino food. Fish head soup. Halal BBQ Chicken. Pig organ soup. Vegetarian Indian food. Shark fin soup. Kebabs. Korean BBQ. Ten different types of satay. Almost as impressive as the variety is the price – for $5-10 you can get 2 or 3 dishes and have more than enough food to be full for hours. 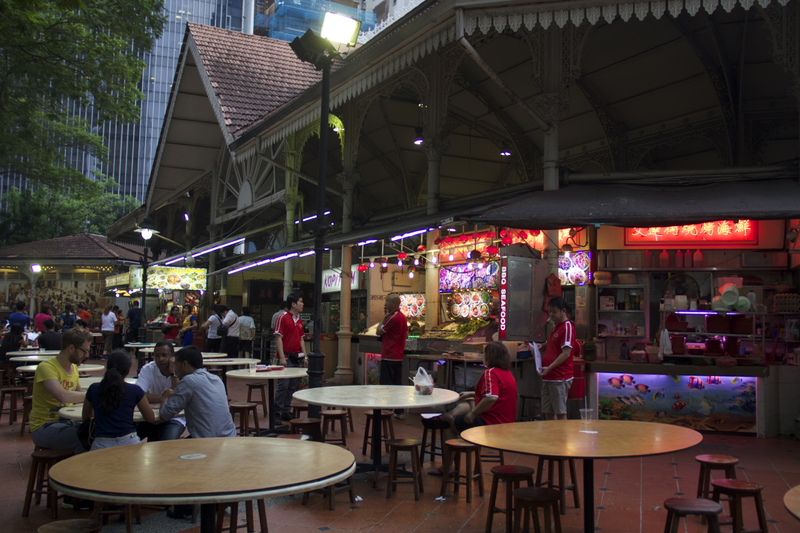 Peak times at Lau Pa Sat are lunch, dinner, and ‘bar-time’ (nearly all of the Satay places are open until 3am). As for when to go – any time you’re hungry. Nap time at the Singapore Zoo. 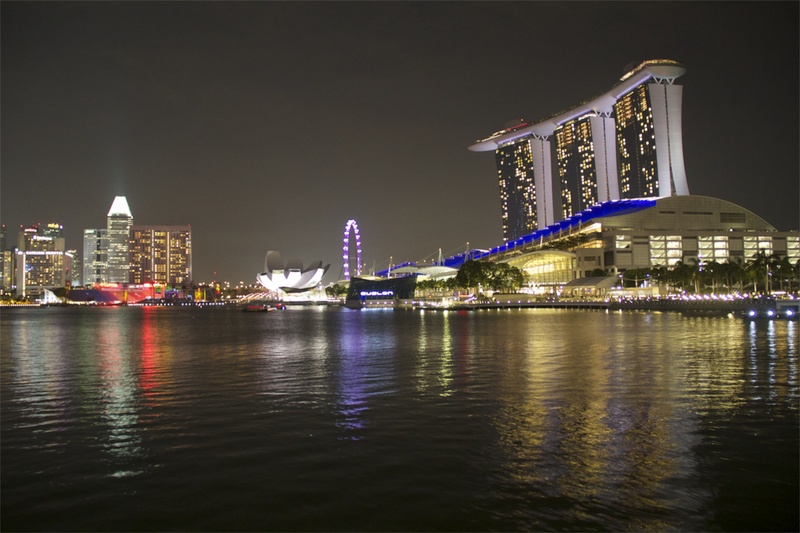 In addition to eating great food there are plenty of things to do in Singapore, but keep in mind that all of them cost a decent amount of money. 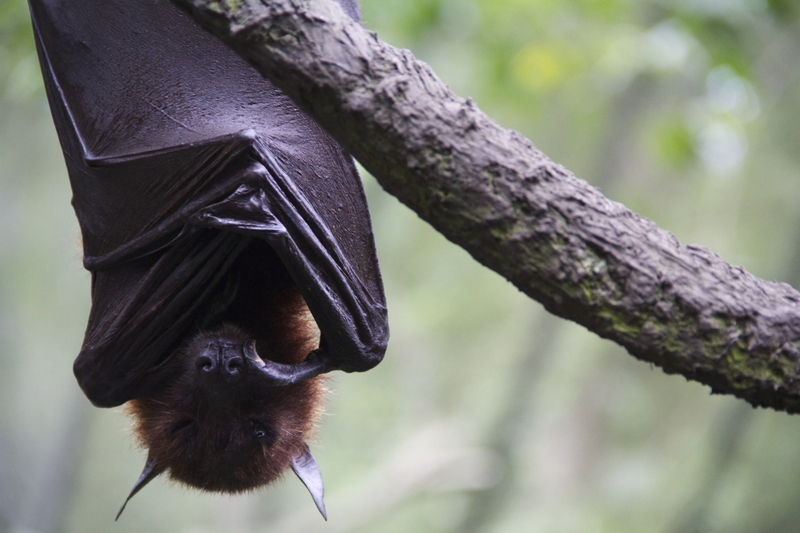 For instance, the Singapore Zoo offers both day and night visiting hours. Visiting during the day is $27, while the “Night Safari” is $35. (From what I’ve been told they really do let some of the animals out to roam.) 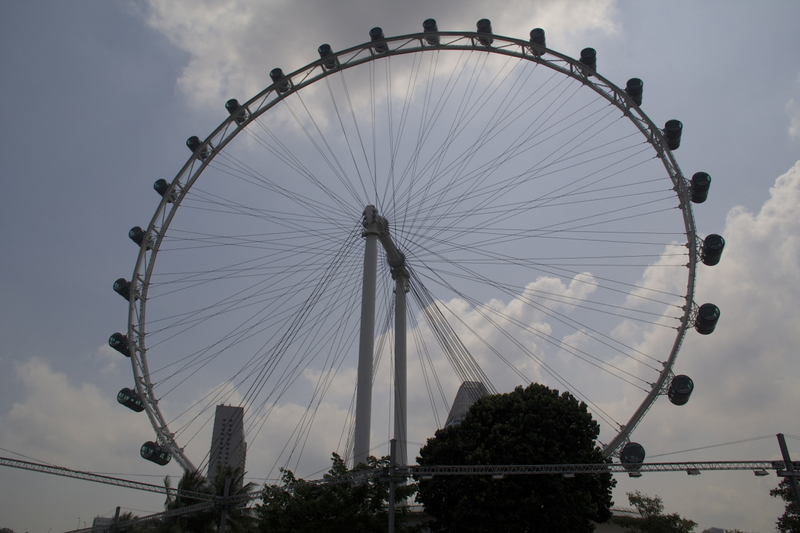 The aquarium here will run you $30, and so will a trip on the world’s largest ferris wheel – The Singapore Flyer. Eat your heart out London. It takes nearly 30 minutes to make one full revolution. For $1400 USD you can rent out a capsule and have a 3 course meal over the course of two revolutions. The common theme to everything list above is that they will destroy your backpacker budget. Instead, there are some low budget options in town. Pulau Ubin is a small island you can reach by boat for $5 that has been left virtually untouched since the development of Singapore started. This is a cheap way to spend an entire afternoon and forget that you’re just outside one of the most developed countries in the world. If $5 is too much for your budget, the Singapore Botanical Gardens are free. Open from 5am to midnight, it’s entirely possible to spend an entire day here reading a book and not pay a single dime. If you’re into art, the Singapore Contemporary Art Museum is $10 and has a revolving collection of art brought in throughout the year. Ironically – all three of these things were on my “to-do” list but it’s been raining on and off for the last 2.5 days. 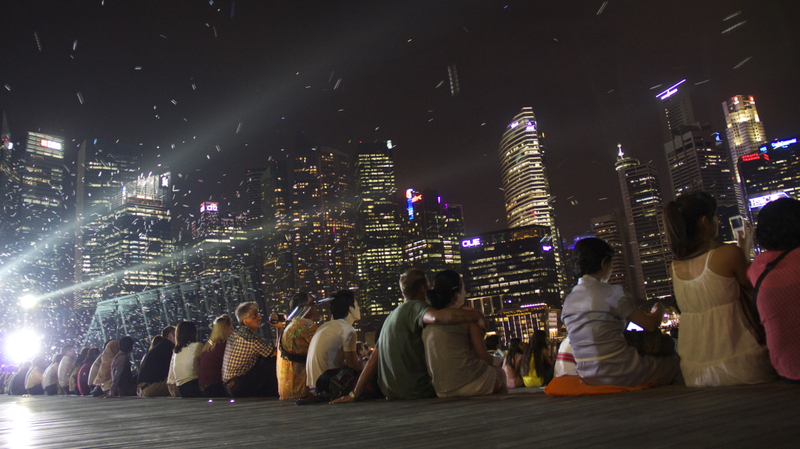 Lastly, at 8pm and 9:30pm every night there is a free light show at the Marina Bay that lasts about 15 minutes. Watching people watching the light and laser show. It’s roughly 15 minutes long and includes bubbles. 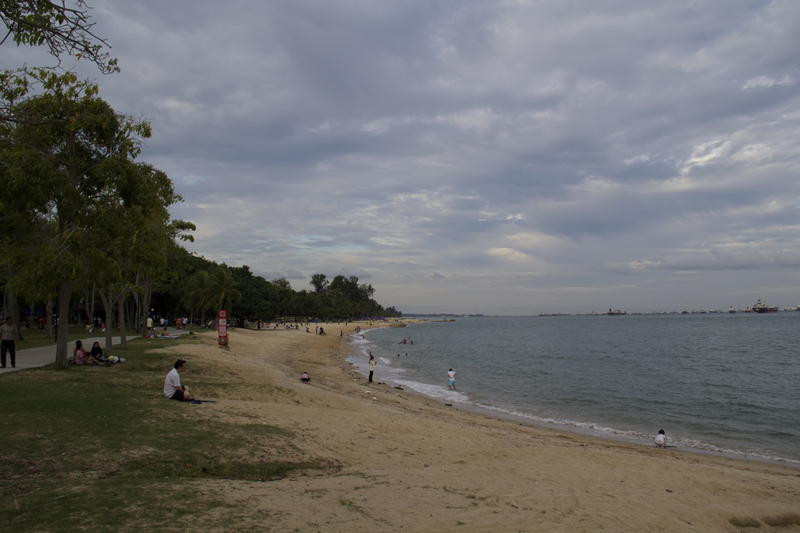 The beach near Marine Parade Road, just off East Coast Parkway, is a nice place to relax, read a book, and even go camping (if you get a permit from the city!). It’s lined with almost 30 miles of running and biking trails. 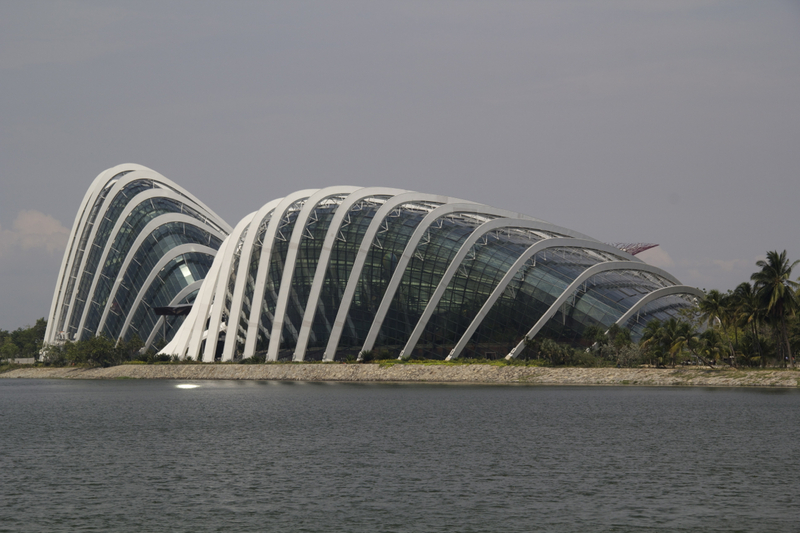 This entry was posted in Singapore and tagged Back Packing, Backpacking, BMW, great food, Happy Snail Hostel, Lau Pa Sat, Lexus, Singapore, Singapore Flyer, Solo Backpacking, solo travel, South East Asia, Telok Ayer Market. Bookmark the permalink. There isn’t much to do in Singapore though there are malls aplenty. If you need to stock up on toiletries or even food stuff, do check out Mustafa Centre which operates 24 hours at Little India (Along Syed Alwi Road, to be precise). Prices are really cheap. Also there are temples and century old churches within the Bugis – Little India area which are within walking distance from the main city area. Apart from that, there’s Sentosa. Just drop off at Harbourfront MRT station and you can walk to the island across the bridge. Skip Universal studios because it’s expensive but otherwise it’s a nice place to walk about and take pictures.